CARFAX 1-Owner, Extra Clean, LOW MILES - 29,992! REDUCED FROM $19,991!, PRICED TO MOVE $2,200 below Kelley Blue Book!, FUEL EFFICIENT 31 MPG Hwy/22 MPG City! Leather Seats, Sunroof, All Wheel Drive, Rear Air, Turbo. 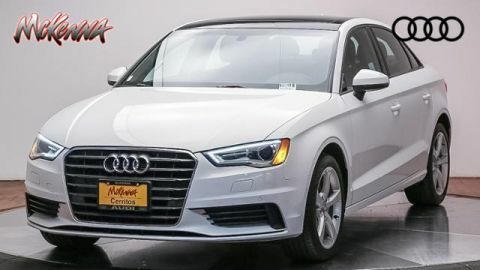 Child Safety Locks, Electronic Stability Control, Brake Assist, 4-Wheel ABS, Tire Pressure Monitoring System, 4-Wheel Disc Brakes Safety equipment includes Child Safety Locks Audi Premium with Brilliant Black exterior and Black interior features a 4 Cylinder Engine with 220 HP at 4450 RPM*. Reduced from $19,991. 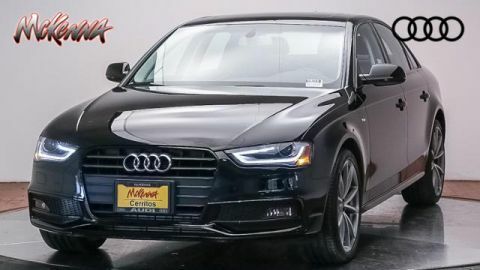 This A4 is priced $2,200 below Kelley Blue Book. WHEELS: 8.0J X 18 10-SPOKE HIGH GLOSS RS DESIGN Audi exclusive, Tires: P245/40R18 AS. Serviced here, Non-Smoker vehicle. 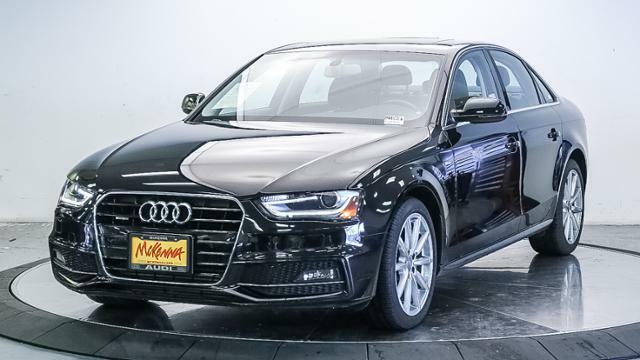 Edmunds.com's review says With a sophisticated, modern design bordering on austere, the 2015 Audi A4's cabin is one of the best in its class. There's an air of adult seriousness here, reinforced by top-notch materials that reflect money well spent.. Great Gas Mileage: 31 MPG Hwy.